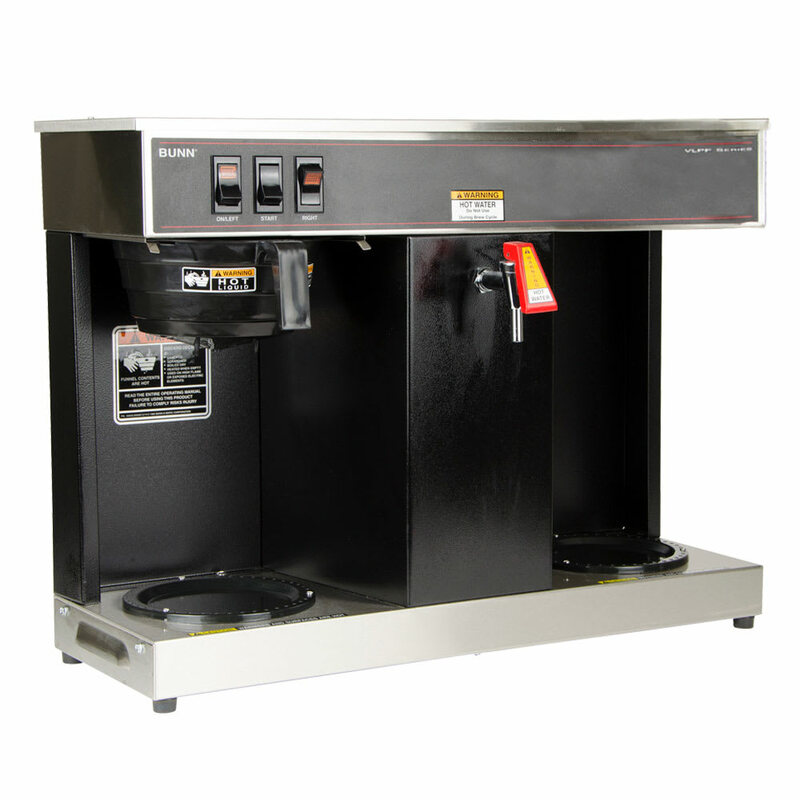 This Bunn VLPF automatic coffee brewer can brew 3.8 gallons of coffee per hour, giving your restaurant or diner the ability to serve as many as (61) 8-ounce cups of coffee per hour. This automatic model requires plumbing for water access. For operator safety, the SplashGard funnel prevents hot liquid from splattering out. A front-mounted faucet dispenses hot water, which can be used to make tea or hot chocolate without interrupting brewing. 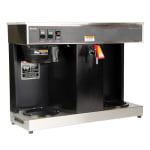 The 07400.0005 includes individually controlled decanter warmers located on the bottom left and right of the unit; however, decanters must be purchased separately. This is a 120-volt model constructed with stainless steel and black plastic that comes with a NEMA 5-15 plug and cord. "This item is used in our manufacturing lunch room. Works great & keeps up with the many uses." "Our coffee pot came with a defect, but after reporting it a service tech came out immediately and repaired. We appreciated the quick response. Wo..."
"If you get the filter, that will stop scaling. We cleaned ours at five years; lot of hard water scaling. Installed a filter and it's truly perf..."
This item was just what I expected. I would buy it again. "Our coffee pot came with a defect, but after reporting it a service tech came out immediately and repaired. We appreciated the quick response. Would definitely recommend to everyone." "If you get the filter, that will stop scaling. We cleaned ours at five years; lot of hard water scaling. Installed a filter and it's truly perfect! The coffee tastes MUCH better too! Here at the powerhouse, we're very happy and great value too! Highly recommended! No kidding!" "Needed a two burner commercial coffee maker/warmer This one is easy to use and has a hot water dispenser for tea and other hot items." "We use this every day at the Admin office for a Fire Department"
"We just hook-up the unit and is working well."